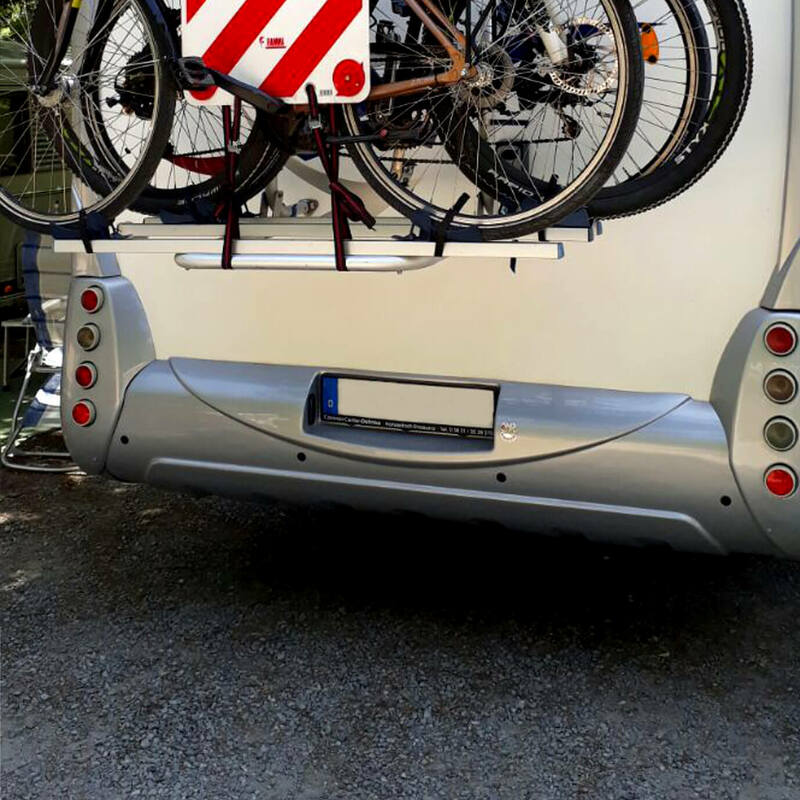 Reversing system for mobile homes with and without a bicycle carrier - CanBus. No cable. No radio. 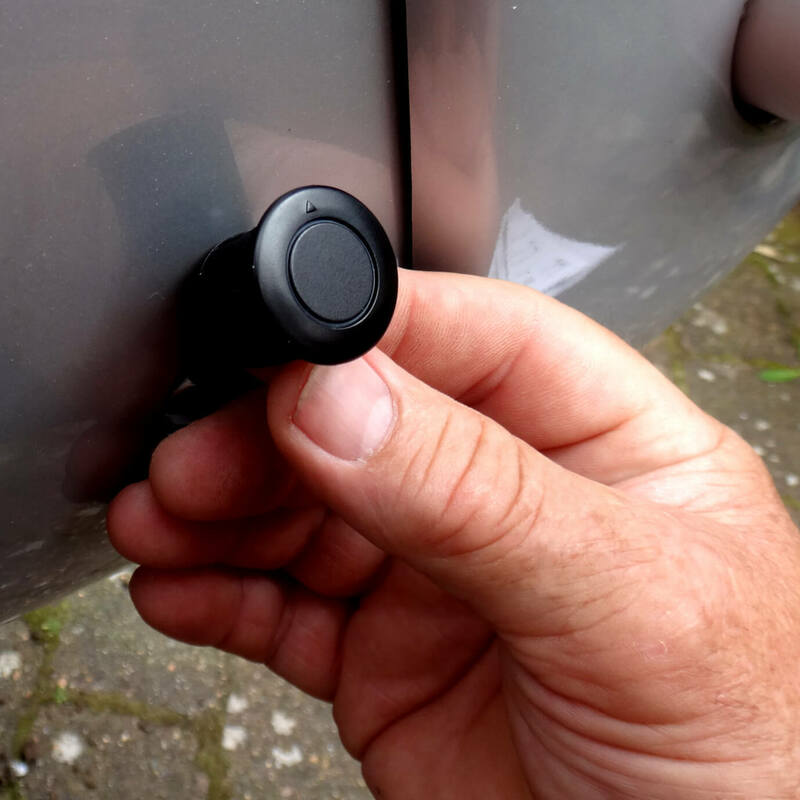 The reversing system helps you secure your motorhome safely. You can adjust the system yourself if you have mounted a bicycle carrier or not. The CanBus technology is activated via the reversing lamp and therefore does not require any interfering radio or Wifi signal. You will be warned by means of a clearly recognizable LED bar, as well as by a good audible alarm sound. 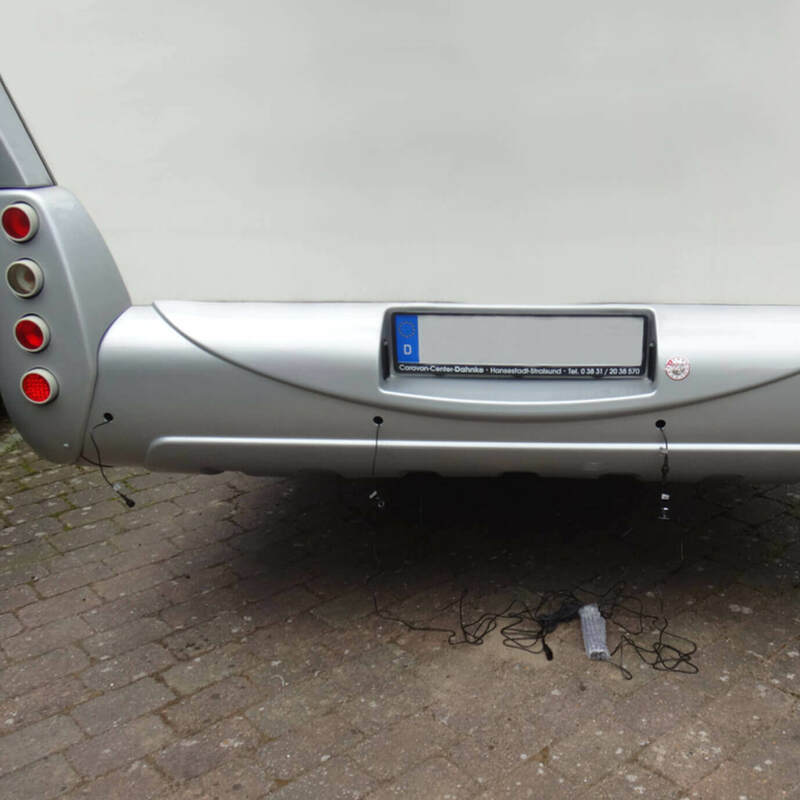 This ParkWarn Bus-Light-4 reversing system from CaraWarn has been especially developed for mobile homes, so that no cables have to be routed across the vehicle. Thanks to the latest CAN bus technology, the signal is transmitted via the ground line of the vehicle in a completely safe and interference-free manner. No radio signal or Wifi signal is used because the digital signal is transmitted directly to the cab via the ground cable of the reversing light. The reversing sensors are activated by the circuit of the reversing light when the reverse gear is engaged and the warning is reproduced clearly in the cockpit of your Reisemobile by means of the LED warning module with integrated sound warning. The main warning zone can start as usual at a distance of 30cm from an obstacle. If a bicycle carrier is installed, the main warning zone is already set at 70cm, which means that obstacles can be recognized early on when the bicycle carrier is folded out. Thanks to the 4 sensors and the detection area of ​​up to 120cm, objects behind your mobile home are ideally captured. Depending on the type of vehicle, you can mount and align the 4 sensors optimally in height and distance, thanks to the included angle adapter rings. Since the LED module requires only 12Volt and ground, it can be mounted anywhere on the vehicle's cockpit. 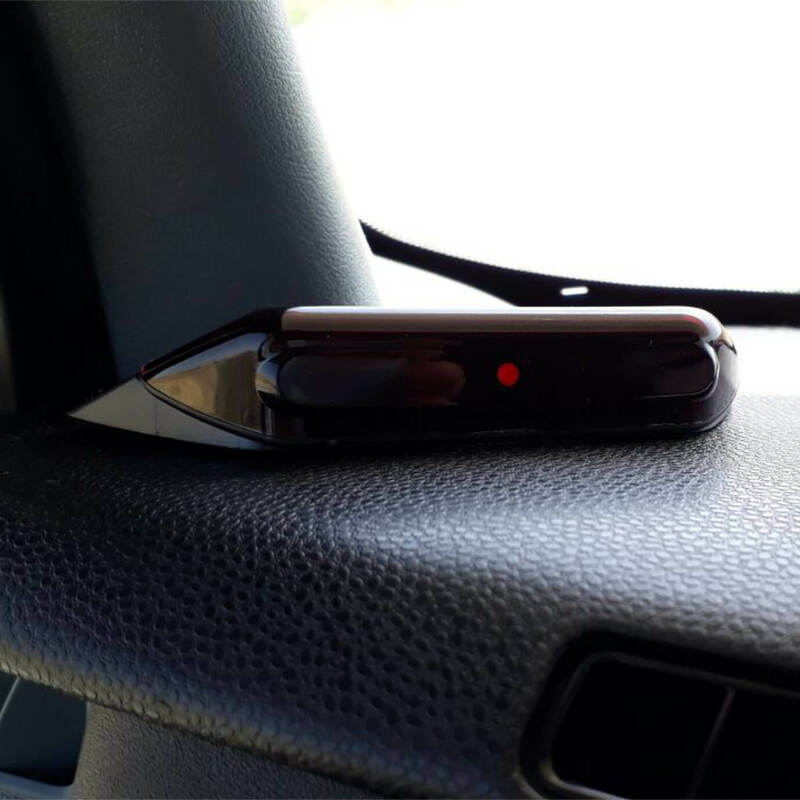 The cable of the LED module can be led invisibly through one of the dashboards in the dashboard and connected to any circuit. This makes you absolutely flexible in the positioning of the LED display. All you need is the circuit of your reversing light, since it activates the reversing system. The 4 sensors are placed optimally with the supplied crown drill in the bumper or apron of your motorhome and the system is already ready for use. All components for the reversing sensors have the protection class IP67 so that the already finished plug-in screw connections are protected against dust and water. TheCanBus transmitter can also be mounted outside the bumper, for example. As simple as awesome! Do you have a trailer coupling on your mobile home and do you regularly use a trailer? For this reason, we recommend an ideal extension of one of the "CaraWarn ParkWarn systems for trailers" (Bus-Easy-2). If you equip your trailer, you can also use a trailer with your trailer if you use it. 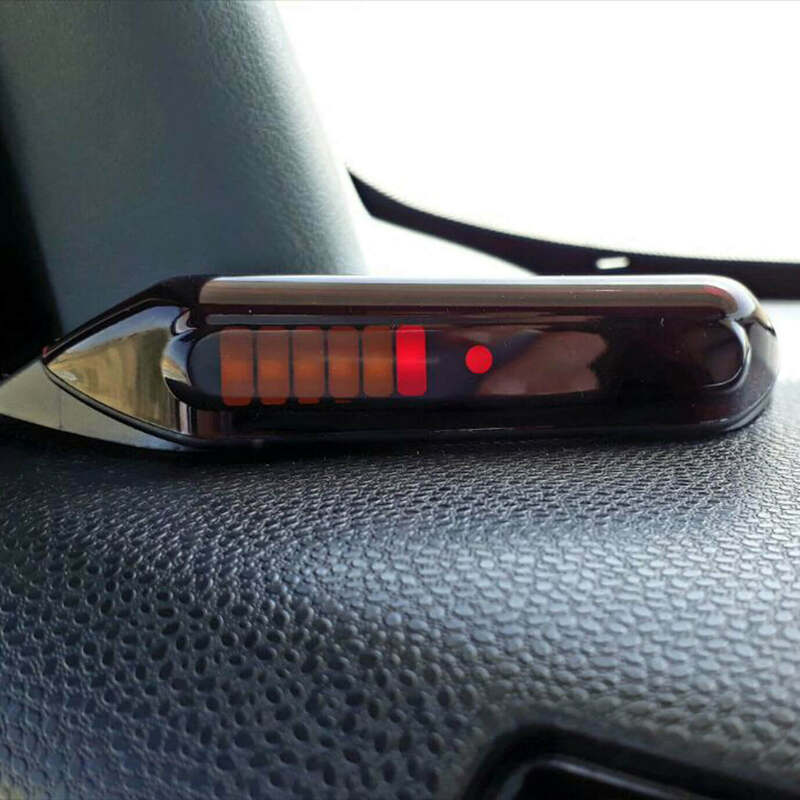 The ParkWarn reversing aids for trailers are 100% compatible with your sound receiver in your motorhome and only by plugging on the trailer is the trailer warning system activated and the motorhome is deactivated. 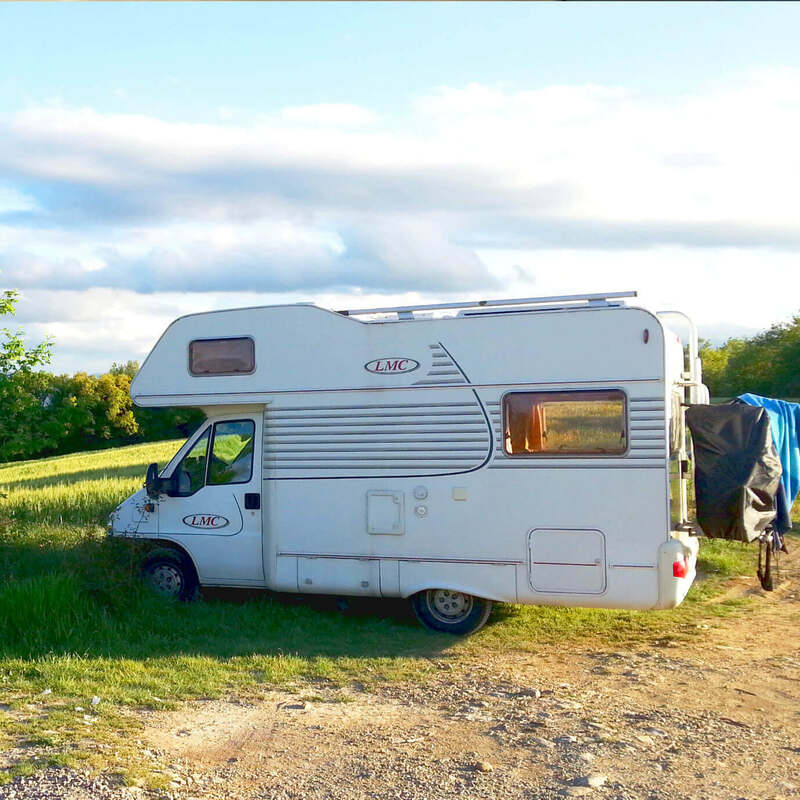 If you disengage the trailer again, the reversing aid of the camper immediately works again independently. This CaraWarn system uses the ground line (negative line) and thus the "safest line" of your motorhome. Without "mass" there is no electrical load in your vehicle. The Can bus transmitter transmits small digital signals via the ground line of the reversing light when recognizing obstacles. These signals are transmitted absolutely reliably, without interference and without delay. The signal can thus be received on any ground cable in your vehicle. Thus, you have absolute freedom in placing the LED receiver in your camper van podpit, since you can use any available 12Volt cable and ground cable for the system to operate. This means that no extra cables need to be laid across the vehicle, which can only be installed in almost all motorhomes from the rear to the dashboard.